Major price reduction! The new boat is on the way and the owner wants this one sold. She has been meticulously maintained since inception and it truly shows. This sport yacht has everything you would want to go cruising like a Hydraulic Swim Platform as well as the peace of mind with a passport premier warranty, good through June 2019. 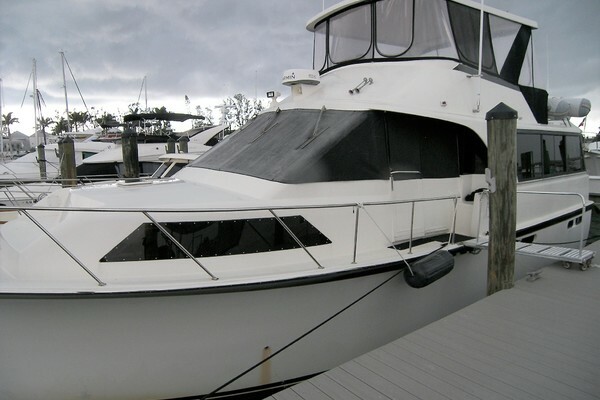 This one owner Sea Ray has only 240 hours. With her joystick docking and Zeus performance she’s fuel efficient and very elegant. She was fully serviced at MarineMax Miami in February 2018 along with new bottom paint and new zincs. This popular Sundancer is not only priced to sell but she is also turnkey and ready for immediate delivery.